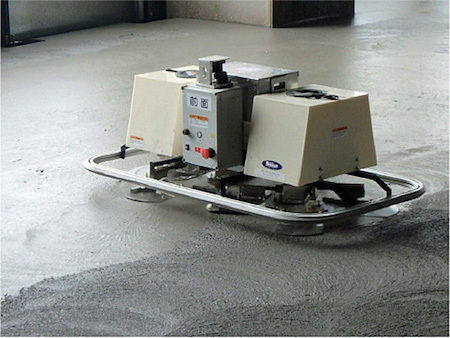 Taisei Corporation and University of Tsukuba announced on October 27 that they have developed a system that enables semi-autonomous control operation of their concrete floor finishing robot named "T-iROBO Slab Finisher", which was developed in 2016. In the operation control of the robot, this system was developed and introduced under the academic guidance of Associate Professor Date Associate Professor Tsukuba University System Information System, and the robot which the operator (Tosomu) had been operating with the controller at all times , It is possible to perform automatic operation by semi-autonomous control operation, and labor of concrete floor finishing work is reduced, and improvement of working environment in construction is realized. In application of the system, by choosing either the traveling range or the traveling route of the robot according to the situation of obstacles such as pillars and walls within the construction range, and introducing a semi-autonomous control operation specified in advance, It becomes possible for the robot to automatically perform the subsequent repetitive task. Science fiction fans recall the amazing construction site robots from the 1985 movie Runaway by Michael Crichton.